Were half the original price in mine, shelf completely empty though. Good price and possible further discount if you know a shareholder. You do need to order 24 to reduce postage. Good price with sell by end of August. not a fan. their tap lager (the mainstream one) is a take on Belgian beer worse than hogardten that I had a free pint last year. More expensive too. check the freebies for more free pint coming soon to a few locales btw. I may go then. 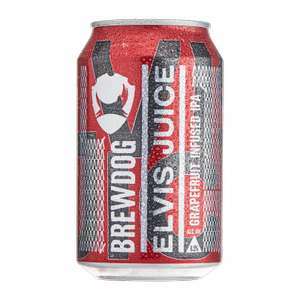 Only £12 in tesco if you don't want more, prefer the punk or Elvis juice tho so I'm out. My wife just purchased 4 packs of these at this price from Courthouse green Coventry, thanks for the heads up. Also the same price in Cobham Sainsburys. Definitely not the best Brewdog, but better than most non craft beer. It's the worst Brewdog beer I've ever tasted. I've only just realised that I haven't even touched the brand since trying this. I'd just about drink this if it were free. Bottled water is cheaper and tastes similar (I’m a brewdog shareholder btw but this is not a special beer). Heads up, this is in Leeds today, I'll get round as many as i can! Did anyone go in Bristol last week? Fantastic deal going to all except Bristol and Cardiff. it's more hassle than its worth. You could make the effort to get to the nearest participating pub and be customer 101. It's easier to get a 4pack of larger from Tesco. Good price - sh1t beer. And I generally like Brewdog. Got a free can at Booths last Christmas, never bought any. Seen at this price in Sainsburys Morecambe today, which suggests it's nationwide. About as much as it's worth. Good price for terrible beer. Sainsbury's have the bottles reduced to 90p in some stores. Try Cactus Jack grapefruit IPA homebrew kit. Makes 23 litres for around 22 quid and I think it tastes very similar to Elvis juice.......but that's just me.....and my family shun me for being tight. I maybe tight, but I'm tight and pi$$ed. . Went into Sainsbury's today and found this bargain on the beer shelves. Not my thing but I thought others on here might enjoy it. Cheers! Still full price in Seven Sisters Local, dated March 2020. Never miss a 'Brewdog' deal again! They couldn’t risk someone tampering with them. Can’t see them going in cocktails. Best beer they do imo. True what they say about being up north is like living in the past, Christmas finished ages ago for us down south. This is quite decent . Delivery is £5.00 for up to 24 bottles. This is actually a very good deal. Cheers and hoted vot. Cans in Morrisons 8x330 for 10 squid. Nice dark beer. Decent lager but not worth its normal price. I guess that's why they are clearing the stock. At 50p per can it's ok I guess. Normally you get a four pack of Brewdog beer for a fiver. About the right price for it. Also £6 @ Tower Park Poole. 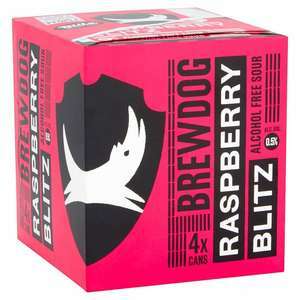 Until midnight get free standard delivery at Brewdog. Saves a fiver for anyone looking to buy some of their beers. Electric India 660ml bombers are 3 for £6, £2 each with free delivery plus any EFP discount. Not bad. 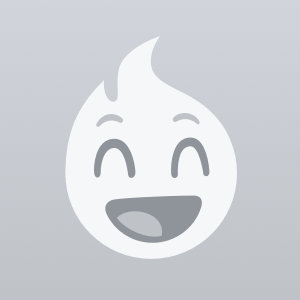 To celebrate burns night BrewDog are offering a free pint to anyone wearing a Kilt. Enjoy. What defines a kilt, i went in a sheet wrapped around me and got nothing but a stare. You want tights under your kilt in this weather. In this weather? I’d expect at least 3 beers! Not to all tastes (for me saisons are too much like vinegar), but this is a good price, including free UK delivery. 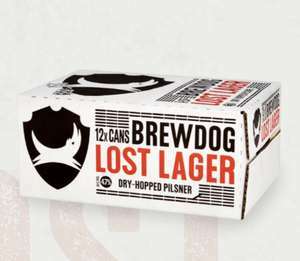 The same price for 24 Lost Lager or Indie cans. Anyone near Leeds give Raynville superstore in Armley LS12 2TF a look .. Fantastic beer selection .. Not cheap, but stuff you don't see many places . https://www.hotukdeals.com/deals/free-beer-school-tasting-brewdog-bars-3149876 Or do it for free? We've done it a few months ago. Got 2 cans of beer, and tasted an other 2 on tap, no cheese. Basically it was 90 minutes of boasting about their success, good for them! The tour at Cairngorm Brewery or St Austell were so much better IMHO. This is a really good experience.... cheeses are included and it lasts a couple of hours Only down side is then trying to sell shares in the Bradford Worth 10 per person easily Hot. Tutored beer tasting? For £20 most will prefer a blootered beer tasting! Over £10 a pint. Seriously though, thanks for taking the time to post it. Same price at Asda too. Rounded up to 23 units at 50p per unit. Might not be that, just the lowest it can technically be, as far as I’m aware. Where are you getting £11.50 from? Just added 3 to my trolley without issue...?